The ATLAS-1000 is a fully integrated, 1U application acceleration platform exclusively designed for OEM customers developing network/cyber security and monitoring appliances. 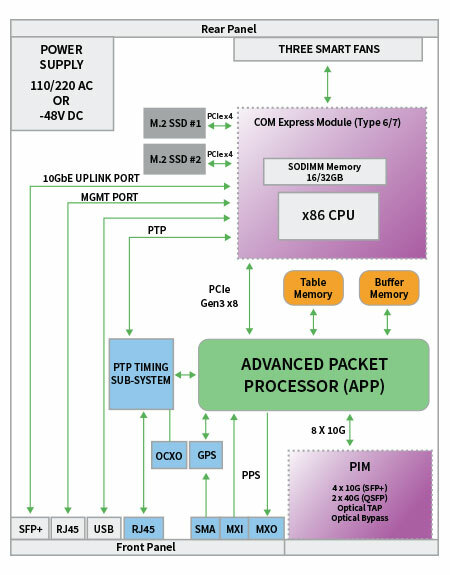 The platform integrates Accolade’s APP (Advanced Packet Processor) in the form of an onboard FPGA with acceleration features such as lossless packet capture, nanosecond pr ecision timestamping, packet merging, packet filtering, flow classification, packet steering and more. The API implemented for the ATLAS-1000 is also common to Accolade’s ANIC packet capture adapters ensuring seamless migration across Accolade’s comprehensive product offerings. Pluggable Interface Module (PIM): 4 x 10G or 2 x 40G.